1. 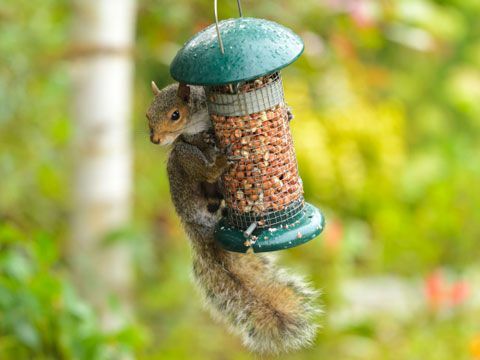 Give those squirrels the slip by spray painting the tops of your bird feeders. If the bird feeders are high, put a cushion or trampoline underneath for hours of entertainment. 2. Have a glass stuck inside another that you need to separate without shattering? Let a little WD-40 work its way down between them and gently separate them. Be sure to wash very well before using again. 3. 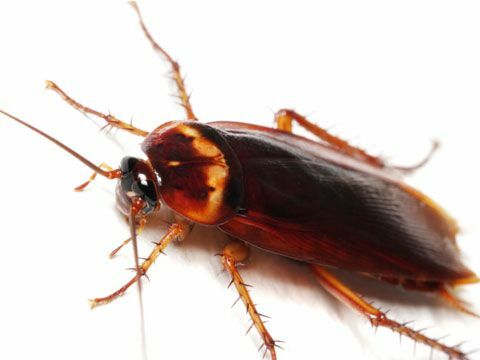 You can use WD-40 on cockroaches for an instant kill. Just a quick spritz will do. If you want to keep those and other creepy crawlies out of your home, spray some WD-40 on the windowsills, frames, screens, and door frames. Be sure to avoid breathing any in, and do not do this if you have babies or small children in the house. 4. 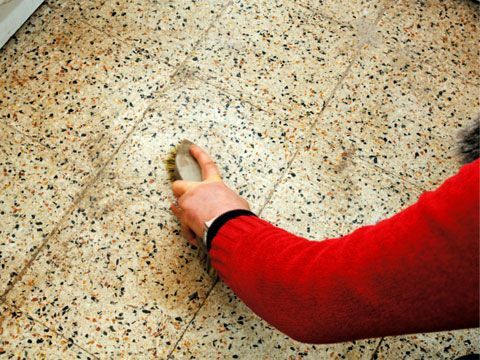 WD-40 is awesome for removing difficult scuff marks from your floor. If there are a lot of marks, keep those windows open. 5. 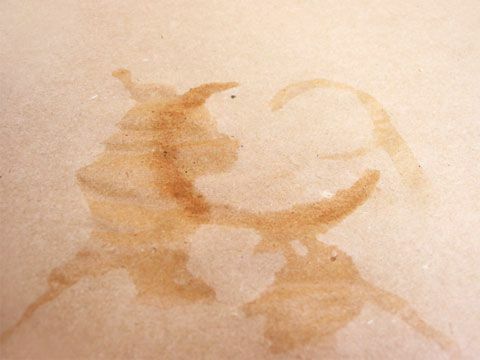 Tannin stains (tea and coffee) are easy to remove from a counter with some WD-40 and a sponge or damp cloth. Source: Reader’s DigestTracy KingWD-40 – It! 6. 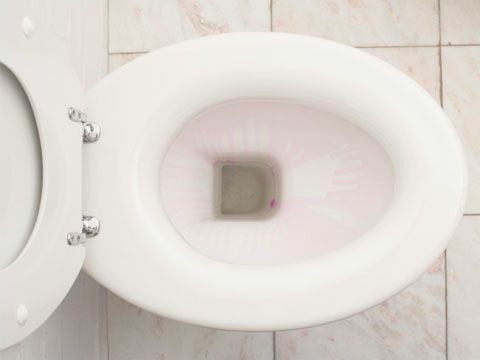 You can use WD-40 to dissolve tough stains in the toilet bowl. Remember your ventilation! Might want to be sure not to get any on the seat, or using the bathroom will be a whole new kind of exciting. 7. 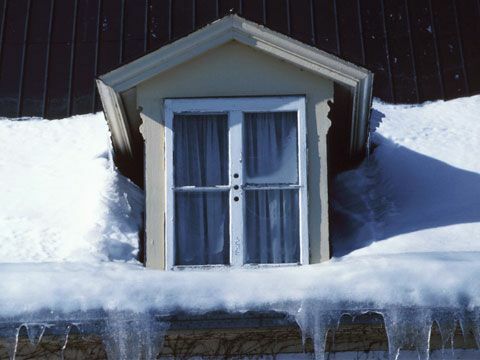 You can spray WD-40 on the outsides of your windows to prevent frost and snow buildup. 8. 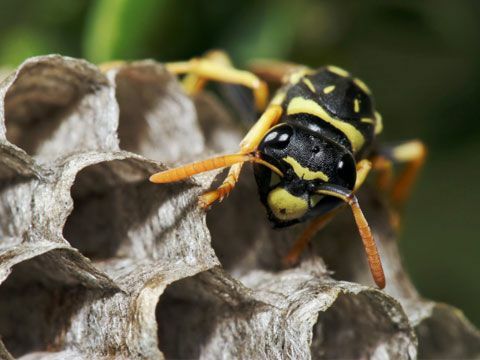 You can prevent wasps and yellow jackets by spraying WD-40 under the eaves of your home, and anywhere they like to build them. 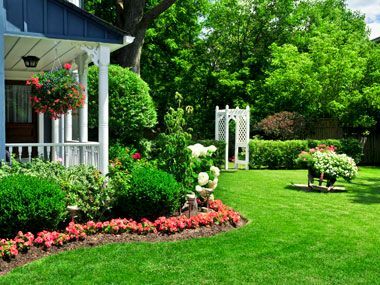 Do it in the spring before they come around and you wont have to dodge uninvited residents every time you walk around the house. 9. Is the shine from your polyurethane shine causing you to reach for your sunglasses? 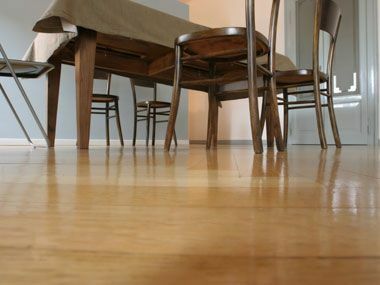 Spray some WD-40 on a cloth and wipe the floor a bit to tone it down. Be sure not to get it too thick or you might be surfing around your house rather than walking. 10. 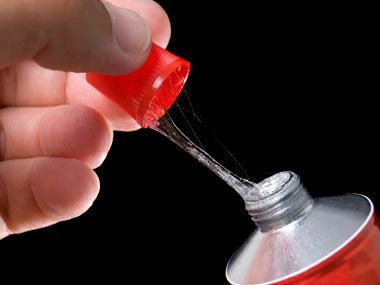 WD-40 can help remove strong glue from many surfaces around the your home. 11. Are your children getting into arts and crafts? Don’t fret! 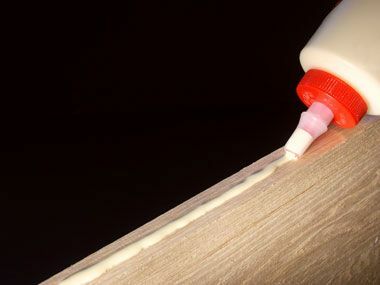 Even dried glue can be removed from a hard surface easily with WD-40. 12. 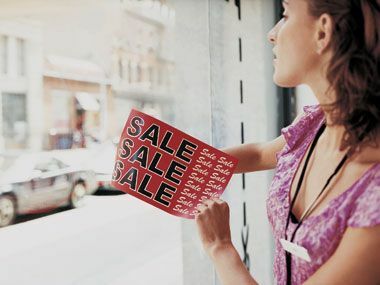 Did you put a sticker on your window only to later realize you just aren’t feeling it anymore? Spray a little WD-40 on the glass and sticker, wait a few minutes, and then use a non-scratch spatula or acrylic scraper to remove said sticker with ease. Source: Reader’s Digestby Digital Vision.1Tracy KingWD-40 – It! 13. Does that random, hard to clean carpet stain have you frustrated? 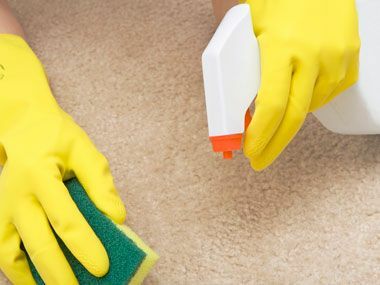 Spray some WD-40 on it, wait a couple of minutes, and then clean with regular carpet cleaner or some soapy water and a sponge. You’ll be amazed how easily it will come up. 14. 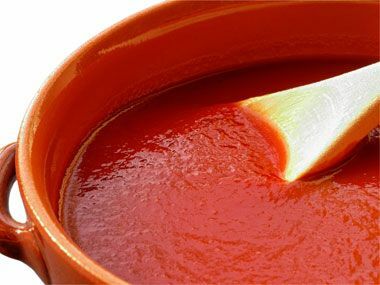 You can use WD-40 to clean tomato sauce stains from pretty much anything. Once again, spray a little on, let set for a couple of minutes, and clean up with some soapy water. 15. 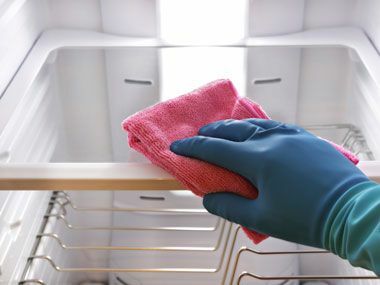 Need to get some deep cleaning done with your fridge? Remove all food, spray a small amount of WD-40 on the difficult to clean spots,let set a couple of minutes and then wipe it off. Remember to avoid breathing in fumes while doing this, and clean the fridge thoroughly with soap and water before putting the food back in. 16. If you have leather furniture that needs conditioning, take it outdoors and spray some WD-40 on it, then buff with a cloth. Give a little time before you bring it back in. 17. 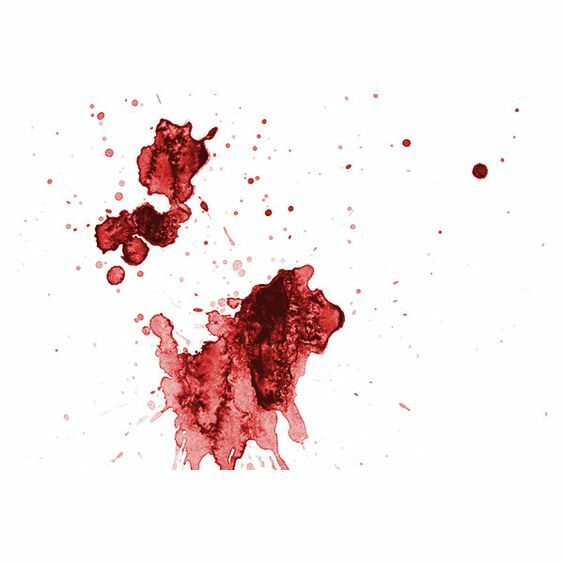 If you catch them early enough, WD-40 can help remove blood stains. Simply pretreat whatever it is you need to wash, let set for a couple of minutes, and then wash as normal. This also works with grease, lipstick, and other similar stains. With clothing, sheets and towels, you can pretreat with WD-40 before putting them in the washing machine. 18. 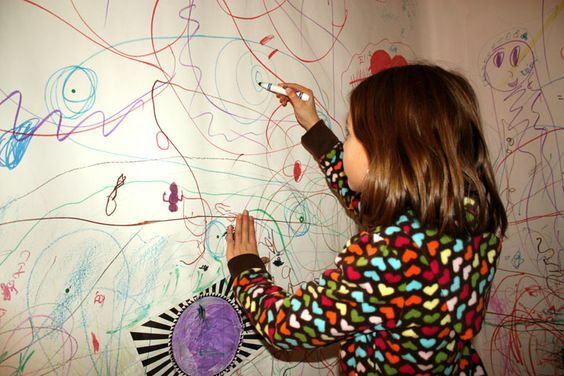 Did you come home to an impressive, yet unwanted work of art on your wall? No worries. Make sure the windows are open, and then spray some WD-40 on the marker or crayon marks and wipe up with a rag. It won’t harm the paint, or most wallpaper. You can always test on a small area before doing the whole thing. 19. 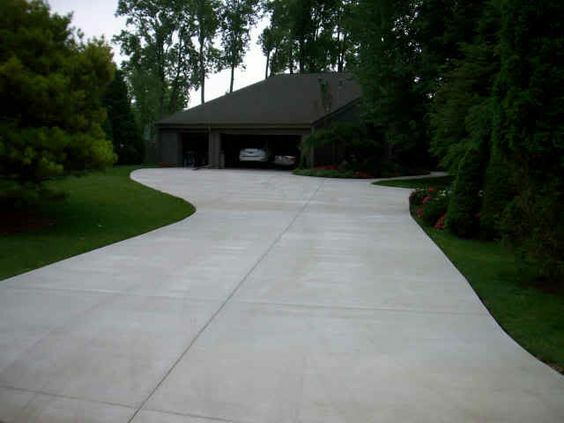 Have some nasty oil spills ruining the look of your concrete? Spray with a good amount of WD-40 and then simply wash it away with the water hose. 20. 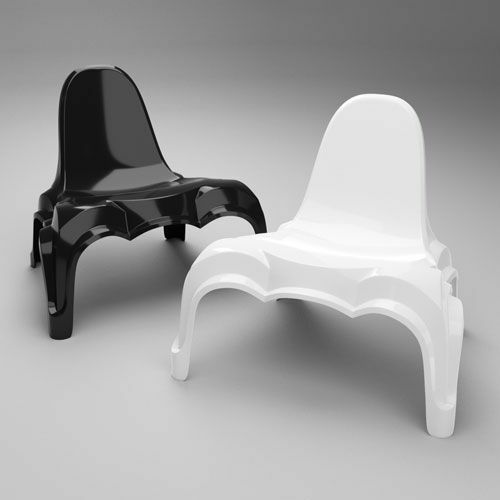 Need to rejuvenate your plastic furniture? 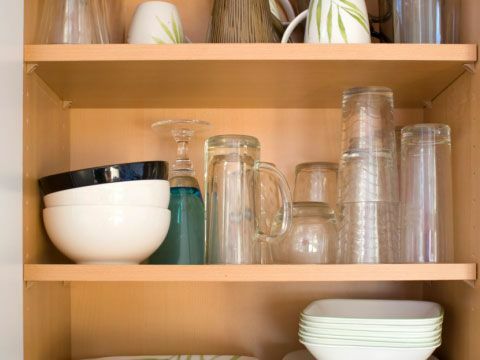 Spray it down with some WD-40 and wipe away with a clean, dry cloth and voila! 21. 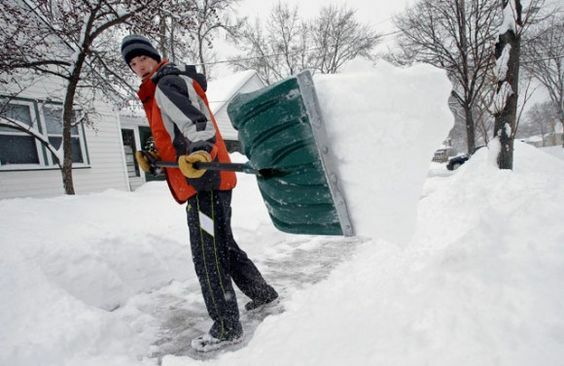 Shoveling snow off of the driveway is challenging enough without it sticking to your shovel. Spray a thin layer of WD-40 on the blade and the snow will easily slide off. 22. Thistles turning your yard into a virtual mine field? Spray some WD-40 on them and bid them good riddance.